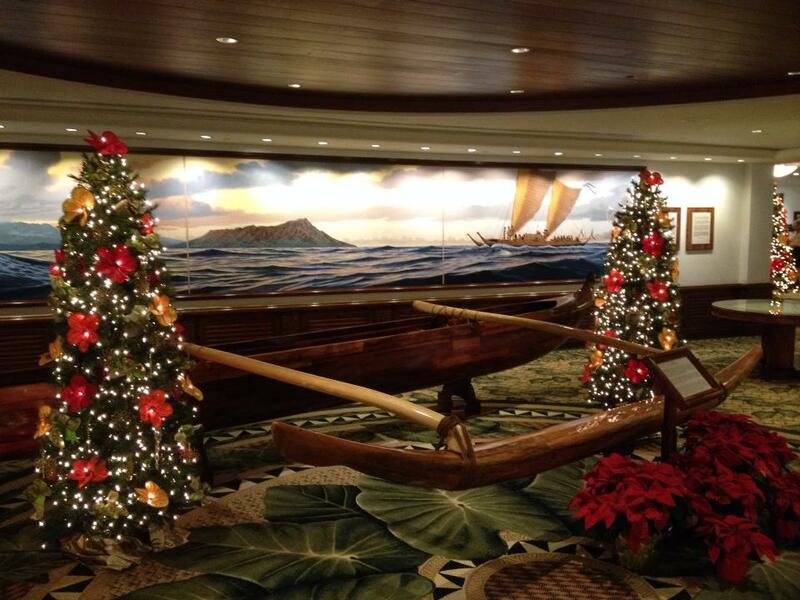 The Outrigger Waikiki decks out in festive Christmas dress for the holiday season. Poinsettia plants grow wild throughout Hawaii and are found on roadsides, in hotel lobbies, and on Christmas trees. Occasionally, you will be lucky enough to see a poinsettia bush growing next to “Snow on the Mountain” trees, which are small trees that bloom a blanket of white flowers during December.